I don’t use Twitter, so one-line (or so) posts from the hotel computer at the Jerusalem Hotel will have to suffice for now. Today’s object-lesson one-liner: selling Lockean political philosophy to Palestinans in East Jerusalem is an uphill battle. But I think I’m getting some cardio out of it. I’m waiting for my ride to Abu Dis where I’m going to try to persuade a larger group–described to me as a mixed group of faculty, students, and activists–of all this. Let’s see if three espressos, a couple of handouts, and a Jersey accent manage to placate this not-easily-mollified crowd. I spent four hours in security questioning at the airport, suspicions aroused because of my Pakistani and UAE visa stamps (which I expected). One guy in the holding room said that his record was eight hours. Meanwhile, some guy in an Atlas Shrugged T shirt trotted right past me and through security in five minutes. Next time I’ll know what to wear. PS. Got the name of the hotel wrong the first time around–Jerusalem Hotel, not Palestine Hotel. In an earlier post, I mentioned that my paper on Israel and Palestine had gotten a relatively chilly—indeed, Canadian-Arctic—response when I presented it last week at a meeting of the Canadian Jacques Maritain Association at the University of Victoria. (The audience consisted entirely of professional philosophers, most of them Maritain-influenced Thomists of one variety or other.) In this post, I want to lay out the paper’s argument in telegraphic form, and list the objections that came my way at Victoria. In future posts, I’ll respond to the objections. The paper was a defense of a “heretical” proposal for resolution of the Arab/Israeli conflict offered by Sari Nusseibeh in his 2011 book, What Is a Palestinian State Worth? 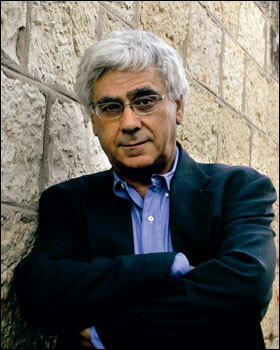 (“Heretical” is my term, intended as an allusion to the classical Arabic term bida’a, which appropriately enough means both “heresy” and “innovation.”) In very broad outline, Nusseibeh’s proposal calls on Israel to annex the West Bank, East Jerusalem, and Gaza, granting their Palestinian inhabitants the status of “second-class” citizens of Israel. As second-class citizens under the proposal, Israel would (for the foreseeable future) protect those Palestinians’ civil rights but refuse them political rights. As Nusseibeh understands them, “civil rights” include both negative rights (life, liberty, property, conscience, contract, self-defense) and some positive rights (to due process, social security, health care). “Political rights” include rights to vote in national elections, to hold national political office (whether electoral or otherwise), and to serve in the military. Solutions to the Arab/Israeli conflict essentially divide two ways—into two-state and one-state solutions. On a two-state solution, the West Bank, East Jerusalem, and Gaza would be incorporated into a new Palestinian state which would then confer civil and political rights on its Palestinian citizens. On a one-state solution, Israel would annex the West Bank and Gaza, immediately granting full citizenship—both civil and political rights—to all Palestinians there, and to all Palestinians in East Jerusalem, so that both Palestinians and Jews (and others) would become fully equal citizens of a single, unified Israeli state. West Bank/East Jerusalemite/Gazan Palestinians would thereby come to have the political status now enjoyed by Israel’s Arab citizens within Israel proper. 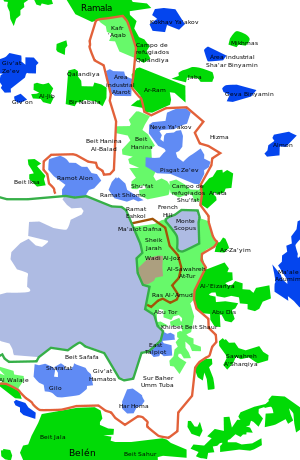 The advantage of Nusseibeh’s proposal is that it ameliorates the effects of Israel’s current quasi-occupation and settlement of the West Bank while minimizing the threat to Israel that would arise from full enfranchisement of the entire Palestinian population. It allows for a graduated form of “naturalization” for the Palestinian population while ending Israel’s de facto expropriation and incarceration of the Palestinian population of the West Bank. After laying out the proposal and defending it, I discuss and reject an objection to it which I call the political rights objection. In its generic form, the political rights objection holds that it’s morally wrong to ask a population to trade protection of its political rights for protection of its civil rights. The objection takes two distinct (and exclusive) forms, one consequentialist, one deontological. In its consequentialist form, the objection holds that attempts to trade political for civil rights are irrationally self-defeating. Since civil rights depend instrumentally for their protection and enforcement on possession of political rights, a population that attempts to secure its civil rights while relinquishing its political rights will ultimately end up with neither, as full citizens hostile to it out-vote it and ratchet back protection for whatever civil rights were granted in the first place. Though there’s certainly some merit to this claim, I regard it as an exaggeration, or at least as empirically underdetermined. Life with civil but not political rights is in my view suboptimal, but need not be a morally catastrophic, and can, when superior to other available options, be morally acceptable. In its deontological form, the objection holds that attempts to trade political for civil rights are simply wrong, regardless of the consequences. Palestinians should either demand both kinds of rights, or resign themselves to getting neither (or perhaps, start a war to get both). If the demand for political rights should eventuate in civil war, then so be it. Civil war is a legitimate price to pay (or to expect others to pay) for political rights. I have less to say in response to this objection, except to suggest that it’s doubtful that its proponents really mean it. The costs of adopting the view seem astronomically high, and the (specifically deontic) arguments for it seem extremely weak. The view implies that we should risk the possibility of war before we deprive anyone of the right to vote—even if the relevant population were voluntarily to relinquish its right to vote in a referendum on the “heretical proposal.” I generally like to reserve the resort to reductio ad absurdum for views that involve literal, explicit violations of the laws of logic or nature, but though this view is not literally self-contradictory in that way, it strikes me as so absurd that it seems to involve a kind of de facto reductio simply in the act of stating it explicitly. So much for the outline of my argument elaborating on Nusseibeh’s proposal. Here’s a laundry list—as close to exhaustive as I can manage—of the objections I got from the audience at Victoria. Hamas isn’t as dangerous, terroristic, or theocratic as I’ve suggested. Hamas may be dangerous, terroristic, or theocratic right now, but it wouldn’t be if not for Israel’s policies toward the Palestinians, and would cease to be if only all Palestinians were accorded full political rights. In other words, what I call Hamas’s “terrorism” (etc.) is really a form of justified resistance to Israeli policies, and would evaporate once Palestinian political rights were granted. At the very least, I owe my readers more or better evidence than I gave (in the paper) of what harm will come from granting the Palestinians full political rights—to whom, how, and with what probability. Objection 2: The heretical proposal arguably undermines the specifically Jewish character of the State of Israel. But since Israel was founded as a Jewish state, any proposal that threatens the Jewish character of the state is a non-starter. So what motivation or incentive do Israeli Zionists have for accepting Nusseibeh’s proposal—acceptance instrumental to its success, since Israel will be carrying out the annexation? Objection 3: In the paper, in response to proponents of the consequentialist objection, I noted that such critics have a tendency to invoke three kinds of analogies against Nusseibeh’s proposal. The proposal, they suggest, merely reinvents the situation that obtained in (a) the Jim Crow South, (b) under South African apartheid, or (c) in displaced persons camps in Europe after World War II. Nusseibeh by contrast had invoked the more benign analogy of contemporary East Jerusalem as a model for the proposal. I, in turn, had invoked what I take to be the relatively benign analogy of Puerto Rico after its conquest by the United States in the Spanish-American War as a model. One member of the audience ridiculed my invocation of Puerto Rico as “implausible” on the grounds that while Puerto Ricans can leave Puerto Rico at will, Palestinians cannot at will leave what he called the “concentration camps” in which they currently reside. (Since we were discussing the West Bank, East Jerusalem, and Gaza, I take his claim to be that life in all three of those places resembles life in a concentration camp. If he meant Gaza, he’d have to grant that the analogy to Puerto Rico failed only in that case, but that isn’t what he said, and clearly wasn’t what he meant.) The implication of his criticism was that the latter “fact”—i.e., his characterization of life under Israeli occupation—invalidated the point of my analogy. Objection 4: Since our rights have a single normative source in human dignity (Maritain’s view, and that of the Universal Declaration of Human Rights influenced by him), it is not possible, in principle, to divide rights up and grant some rights rather than others. As a matter of sheer logic, it’s all or nothing: either we grant all rights, or we grant none. To grant some rights but not others violates the principle of rights, and thereby misses the very point of having rights. Variation or elaboration on objection 4: If we try to divide rights into civil and political categories, and grant only the civil, we’re on a slippery slope. When it’s convenient, we may subsequently want to subdivide the civil rights in turn, and grant only some arbitrary subset of them. Having done so, we may then want to subdivide an arbitrary subset of the latter subset, and grant only some arbitrary subset of the subset. And so on. So if you grant civil but not political rights, you’re on a slippery slope that ends with slavery or mass murder. But any such slippery slope requires a repudiation of the principle that led us to its final, repugnant conclusion. In the case at hand, we’re required to repudiate the principle from which we began, namely, the attempt to distinguish civil from political rights and grant only the former. Objection 5: My argument against the deontological version of the objection begs the question by assuming consequentialism. It cites the dangers of civil war and/or theocracy as a predictable result of granting full political rights, but a deontologist doesn’t care about those consequences. On a deontological view, justice must be done though the heavens may fall. It isn’t an objection to such a view to note, however correctly, that if a certain policy is carried out in the name of justice, the heavens really will fall. It follows that it’s not an objection to the deontological version of the political rights objection to observe that granting political rights may well lead to civil war and/or theocracy. It’s not even a legitimate objection to observe that granting political rights may well undermine the possibility of anyone’s having any rights. Those objections all presuppose consequentialism, which is what the deontologist rejects. Objection 6: I haven’t taken the diversity of deontological views sufficiently seriously. I’ve only discussed absolutist deontologies like Kant’s, which are utterly insensitive to consequences. The paper’s argument is incomplete unless I were to discuss more moderate W.D.-Ross-like views which, while deontological, still allow for non-consequentialist priority rankings, and thereby avoid the civil war/heavens falling criticism I make against the deontological version of the political objection. Would Israel’s Arab citizens lose their political rights as a result of the proposal? Would the proposal leave the Palestinian Authority in place or require its dismantlement? Would Palestinians have non-national political rights with respect to local Palestinian political entities? Would the West Bank be dealt with in the same way as Gaza (i.e., would the Hamas government be treated as being on par for legitimacy with the Fatah government)? Does the proposal do enough to protect people from Hamas, or does it merely augment the threat on the one hand, and then dilute it a bit on the other? What ramifications would the proposal have for Israel’s West Bank barrier, and for the Israeli blockade of Gaza? A couple of passing remarks on the session as a whole. On the whole, the audience was skeptical of or hostile to my argument, as I fully expected it to be. The idea that the Palestinians be deprived of political rights didn’t go over well, even when proposed by an East Jerusalemite Palestinian living under a version of the proposed regime, and even when no one in the audience was himself or herself in the same situation. I expected someone in the audience to invoke Will Kymlicka, but no one did. I hadn’t expected the audience to be as wedded to deontology as it ended up being. Granted, this was a meeting of the Canadian Jacques Maritain Society—an audience of natural law Thomists—but I’d expected Thomists to be more consequence-oriented or consequence-sensitive than the ones in the audience were. Given Rawls’s discussion of “decent hierarchical peoples” (and given the general currency of Rawls’s views among academic philosophers) I was particularly surprised at hearing objection 5, which I would have regarded as a strawman had I not heard it so vehemently defended in my presence. After the session, someone asked me whether my views were “pro-Palestine.” Though I’m certainly conscious of the injustices done to the Palestinians by the Israelis (and vice versa), I don’t think of myself as either “pro-Palestine” or “pro-Israel.” I think of myself as “pro-rights”—and, in consequence, as working out the implications of a certain conception of rights and justice for the case of Israel and Palestine. The audience, however, was pretty clearly “pro-Palestine,” and was disappointed that I didn’t live up to their “pro-Palestinian” expectations. That’s the reverse of the situation I’ve faced in Objectivist contexts, where the disappointment has typically gone in the other direction (and where some of my interlocutors have wondered out loud about whether I’m an anti-Semite). In general, I think discourse on Israel/Palestine would be improved if we stopped thinking so tribally, a point that Nusseibeh (invoking the Lebanese writer Amin Maalouf) very eloquently makes in his book. After the session—after the room had completely emptied—one sympathetic listener walked over to me and said, “Wow, this is a paper that will lose you a lot of friends.” Maybe, but I have a feeling that it’ll get me some, too. I’m hoping to find some in Jerusalem. I’ll try to post some responses to the preceding objections before I leave for Jerusalem next week. It’s not clear what relation a Palestinian state would bear to the Jewish inhabitants of East Jerusalem, or to Jewish settlers inside the West Bank. Either they would become citizens of Palestine, or remain citizens of Israel, but it’s not clear which, and in the first case, not clear how. The allusion to “pollution” comes from Jason Brennan’s discussion of “unexcused harmful voting” in The Ethics of Voting, p. 74. I reject Brennan’s claims in the book about the relationship between egoism and the common good, however. Nusseibeh’s proposal bears a passing resemblance (but in my view only that) to Mill’s discussion of “government of dependencies by a free state” in chapter 18 of Considerations on Representative Government. It bears a stronger resemblance to Rawls’s discussion of “decent hierarchical peoples” in sections 8-10 of The Law of Peoples. But it would take a separate discussion to get the relevant comparisons and contrasts straight. Even more generically, the motivating claim is that it’s morally wrong to ask someone to trade protection of one kind of bona fide right for protection of another. According to the objection, all rights are inalienable, so that none can be given up for any other. Put another way, the claim presupposes that there is no distinction to be drawn between fundamental and derivative rights. Either all rights are fundamental, or all rights are derivative in the same way and to the same degree, of some non-rights foundation. A lot more would have to be said about what it is to “derive” something from a foundation. I’m off tomorrow for a week in western Canada, to give a paper at the University of Victoria on the Israel/Palestine dispute. The conference is “Congress 2013,” apparently the largest annual academic conference in Canada. 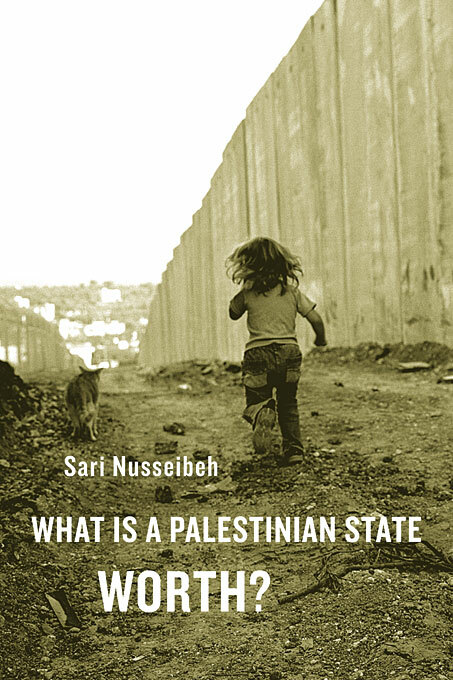 The paper is an extension of the introduction I wrote this past October for Reason Papers’s symposium on Sari Nusseibeh’s book, What Is a Palestinian State Worth? (scroll down a click or so). I won’t be blogging while I’m away, but Carrie-Ann will be moderating the comments. Sari Nusseibeh, a Palestinian philosopher and political activist, is the President of al-Quds University in Arab East Jerusalem, and the author most recently of the controversial book, What Is a Palestinian State Worth? (Cambridge: Harvard University Press, 2011). The book begins with Nusseibeh’s now-notorious proposal to have Israel annex the West Bank and Gaza, granting the Palestinians living there the status of “second-class citizens” of Israel, and requiring them to relinquish their “political rights” in return for protection of their “civil rights.” Civil rights include basic negative rights (life, liberty, property, contract) and some positive rights (health care, social security). Political rights include the rights to vote and hold political office at the national level, whether electoral or otherwise. Call this the heretical proposal. Most of the English-language commentary on Nusseibeh’s book has been negative. Left-leaning critics have accused Nusseibeh of acquiescence in a form of colonial subjection for the Palestinians; right-leaning critics have accused him of covert designs against the integrity and security of the Israeli state. To my mind, however, most of Nusseibeh’s critics have misrepresented or misunderstood his proposal, and none of them has put it in its most defensible form. My aim in this paper is to clarify the logic and structure of the heretical proposal, and to defend it against one common criticism made of it—what I’ll call the political rights objection. I argue in the paper that the objection fails. I argue that the political rights objection fails on two grounds, one broadly logical, the other broadly normative. As a logical matter, I think the objection as currently stated involves a series of instructive fallacies, among them ignoratio elenchi and ad hominem. On normative grounds, I think the objection greatly oversimplifies the supposed asymmetrical dependence of civil on political rights. Though some such dependence doubtless obtains, Nusseibeh’s critics have not shown that the dependence involved in the case under consideration undermines his proposal. I end by challenging those who would, on supposedly moral grounds, reject disenfranchisement and political inequality as “off the table, though the heavens may fall.” In the case of Israel/Palestine, I suggest, the price of rejection might well be civil war. It is not obvious that political equality in a Jewish or Islamicized Palestinian state is worth the price of civil war. If not, Nusseibeh’s proposal survives the political rights objection. More on this when I get back….